garphill games is going after two birds with one stone in their latest Kickstarter project. They're looking to update two of their games to a new edition and figured putting them together in one campaign would be the best way to get it done. As such, they're pairing up Cibola and Woodlands. In Cibola, you are racing to be the first player to find all the Seven Cities of Gold and collect statues from them. In Woodlands, all the fuzzy animals of the forest have gone to war. Use your cards wisely to back the best clans and score the most points. 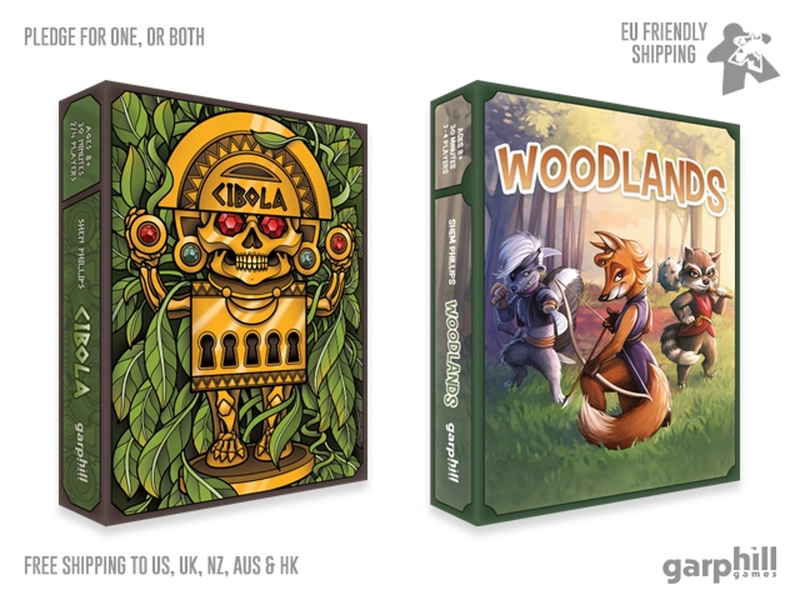 You can pledge for each game, individually, or you can go in for both at a discounted price. The campaign is up now and is set to run for another 13 days.